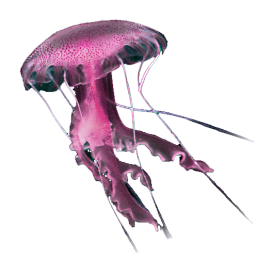 Cousins of corals, siphonophores are colonies of specialized individuals called zoids. 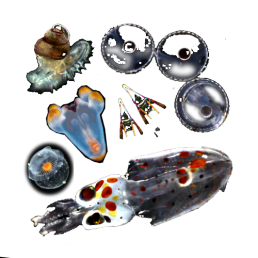 Some catch and digest their prey, others swim, or lay eggs or sperm. 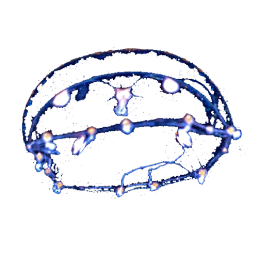 The physonect siphonophore Stephanomia sp. 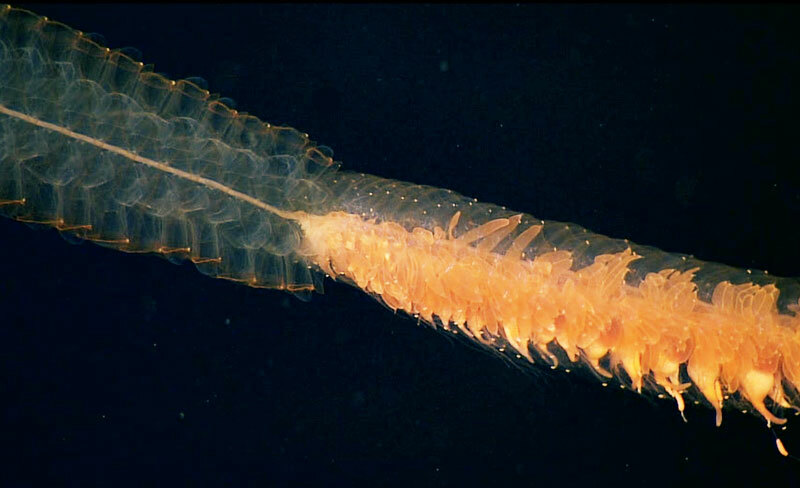 Stolon of the siphonophore Stephanomia sp. 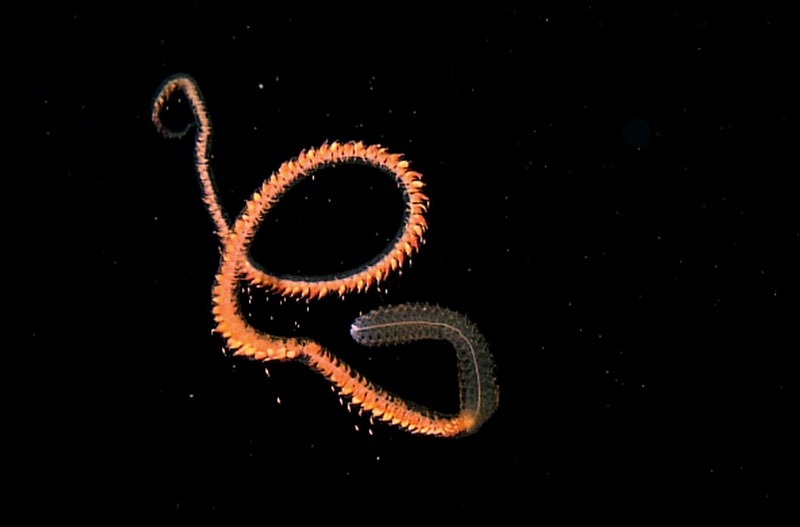 Gastrozoids of the siphonophore Apolemia sp. 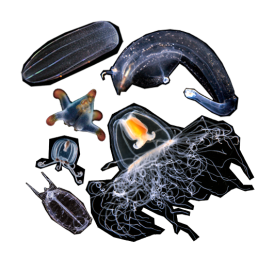 Nectophores of the siphonophore Stephanomia sp. 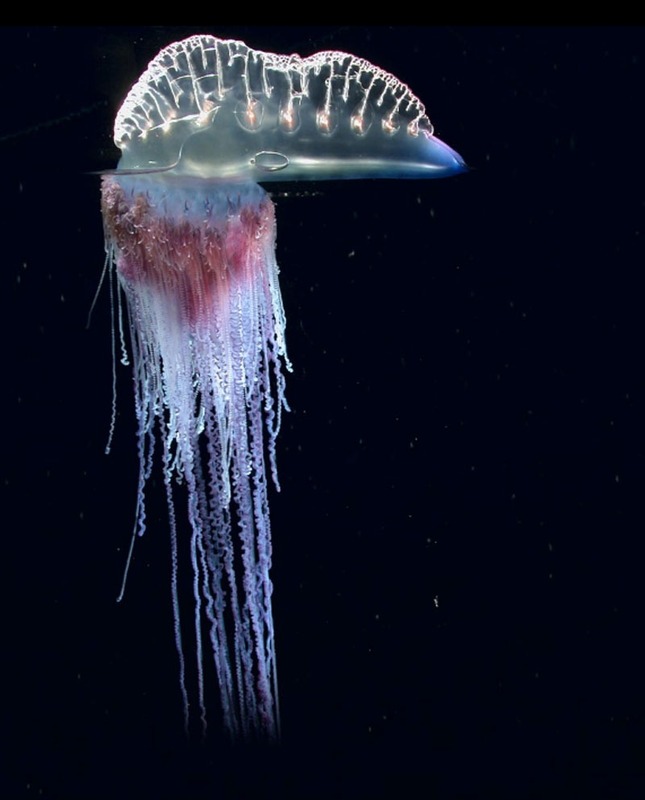 Whales may be the most massive creatures in the world, but the longest animals are siphonophores. 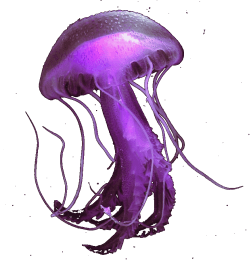 Some, like the Portuguese man of war, are among the most venomous. 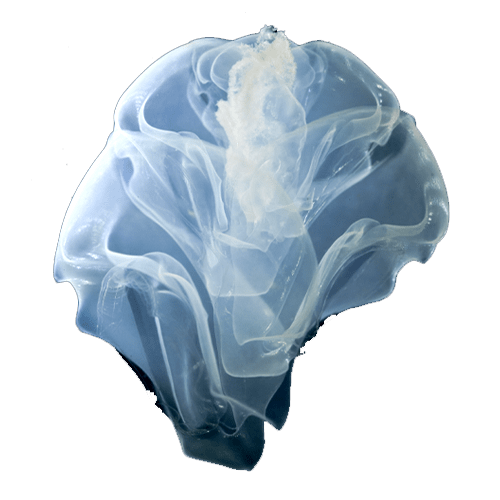 Siphonophores are gelatinous, planktonic organisms – relatives of jellyfish,anemones, and corals, in the family of cnidarians. 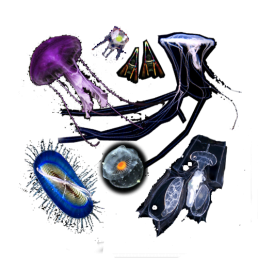 Like corals, siphonophores form colonies. 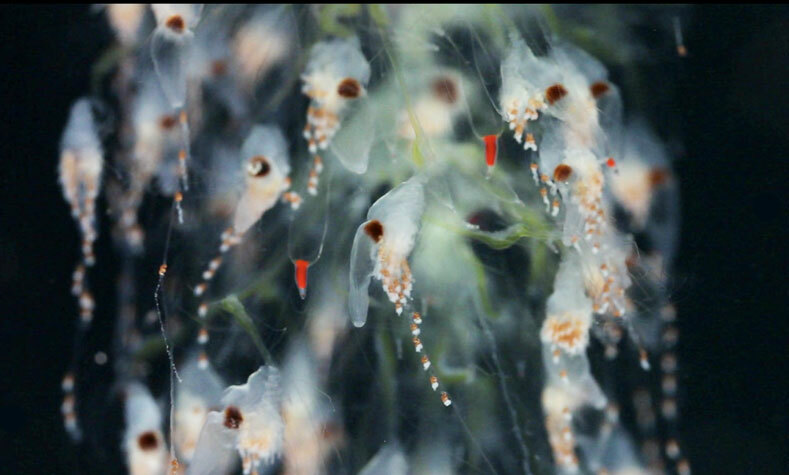 Corals are made of identical bodies, but siphonophores have many specialized bodies – called zoids – all genetically identical, developing from a single embryo. Strung together by a stolon, a kind of umbilical chord, different bodies or zoids have specific functions: feeding, reproduction or movement. 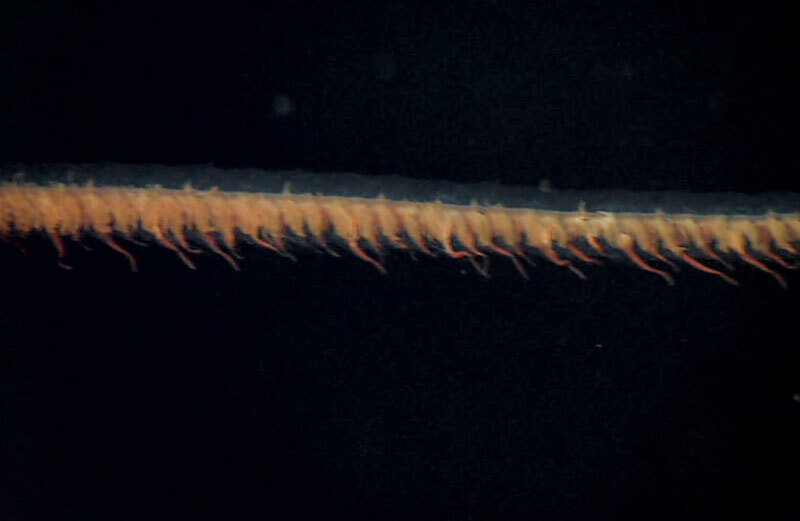 Gastrozoids – the bodies of siphonophores – spread long tentacles studded with stinging cells.These arms bring food to giant mouths and stomach organs that swallow and digest prey, nourishing the entire colony through the stolon. At one end of the stolon, muscular nectophores propel the colony in search of food. 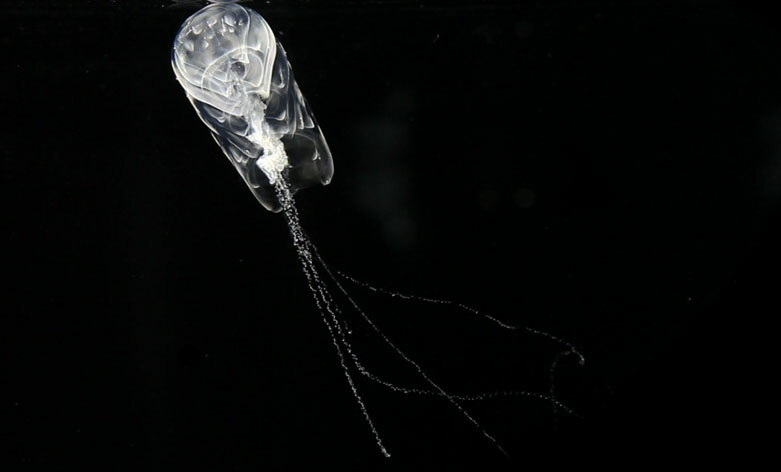 Catching shrimp and even fish, siphonophores deploy thousands ofstinging tentacles into a perfect net. 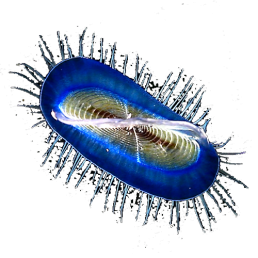 Bodies are added within colonies by budding, but new colonies are produced sexually. 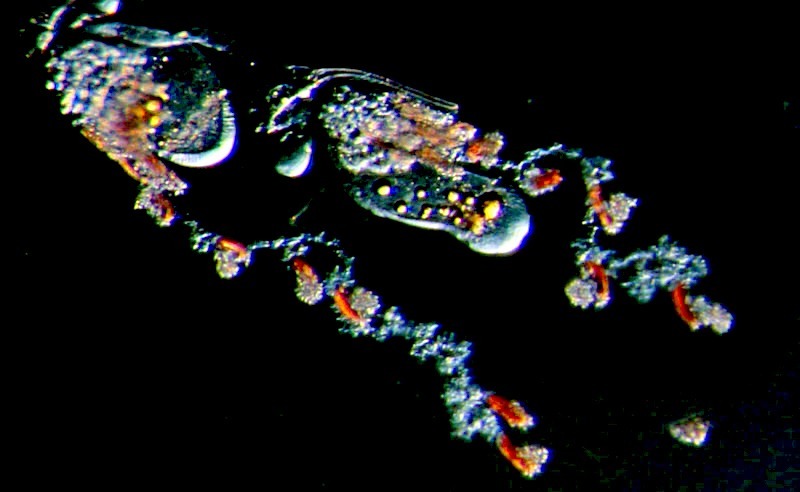 Male and female gonozoids expel eggs and sperm packaged in little sacs. 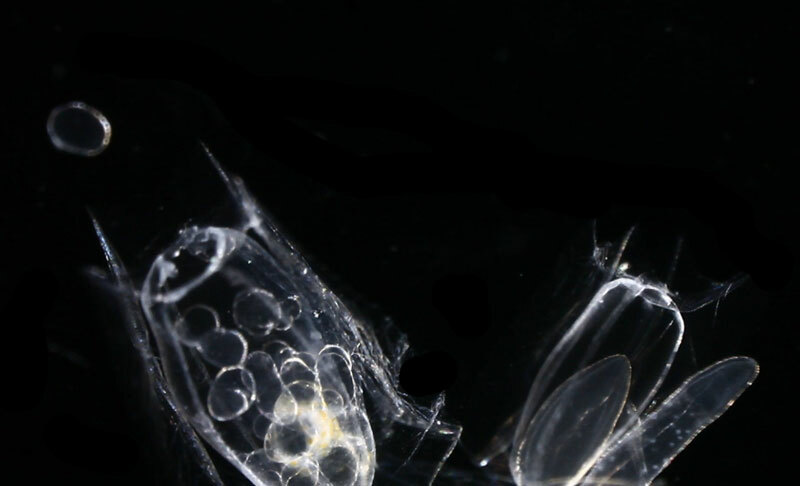 In the open sea, a chemical released by eggs attracts the sperm. 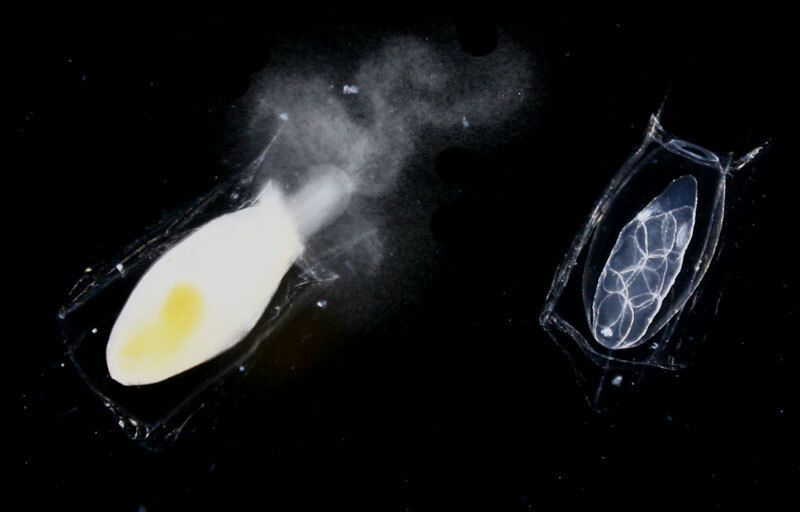 Amazingly,sperm find their way to drifting eggs and dance briskly around thefertilization site. 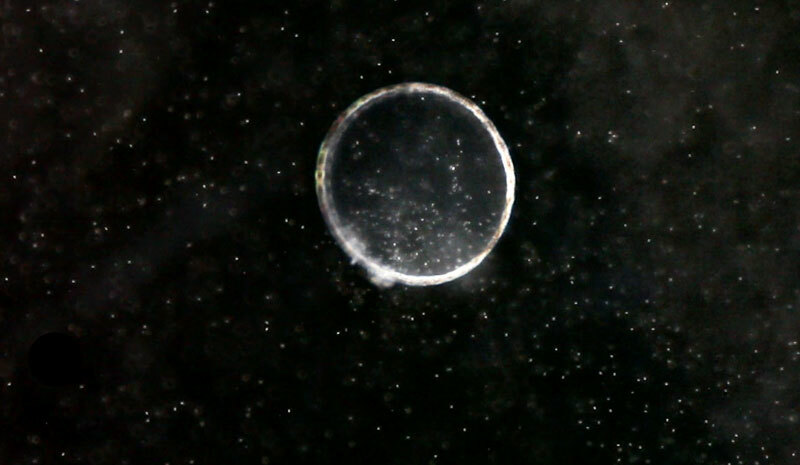 Once fertilized, the egg becomes an embryo, which soon buds its first zoid.